Firstly, many in the US right now have many spiders and other insects scrambling to make their home inside yours! they can sense that cool air and are laying eggs after burrowing inside your home, in whatever room or nook or cranny they can find. 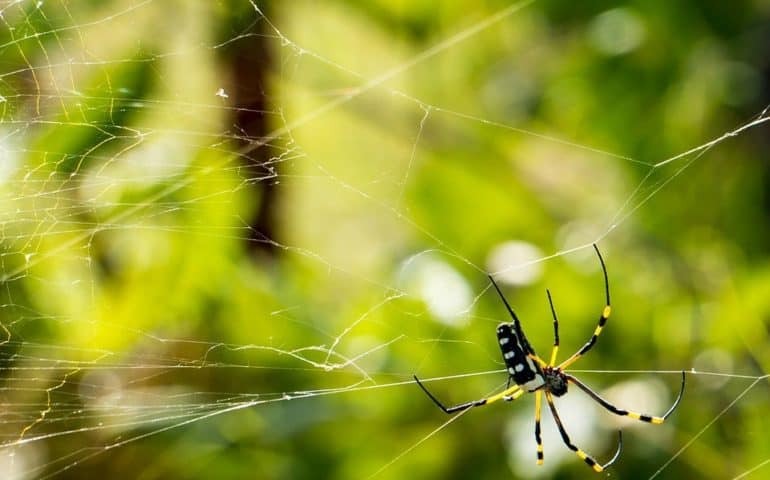 Diatomaceous Earth natural pesticide can be an answer to keep unwanted insects like spiders and roaches out of your home. Nobody likes to deal with them and here are some tips to keep those critters out of your home. Apply diatomaceous earth to the entire foundation of your home being sure to go out about 1 foot and to apply it at least a 1/4 of an inch. (If it rains, it will be washed away. So rule of thumb is to always make sure it is visible. Apply diatomaceous earth to the inside baseboard area in your home, making sure to get all baseboards to prevent any insects from infesting your home. Take our Pest Pistol Powder Duster and puff the product behind the baseboard as best you can. Once you are done, you do not need to worry about it until next spring. Furthermore, we sell Food Grade Diatomaceous Earth and Crawling Insect Control Diatomaceous Earth products for wholesale prices! We have tons of sales going on now and you get FREE SHIPPING on most orders. Feel free to browse our website or please call us at 1-800-228-5836. Happy to help you with your insect control needs!